It was about 6 months and 12 days ago that my obsession with nappies began. 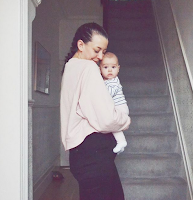 Before that I had absolutely no idea what size I needed to buy or how many times I day I needed to change our brand new baby, I think I'd changed about 2 nappies in my life before then. Fast forward to now... over a thousand nappy changes later, pretty much every brand tried, countless al fresco poo explosions, intimate knowledge of all of the baby changing areas in a 10 mile radius and more baby bum sniffs in public than I'd like to admit. We've tried pretty much every brand from supermarket own brand to premium, I eventually settled on Pampers Baby Dry for night time and Aldi Mamia for the day time but I was still getting pooed on more than I would like. We were recently gifted some nappies from New Zealand brand Rascal + Friends to try out before their UK launch and I thought I'd post a full review here in case you're interested in trying them out. They are now available in the UK and Ireland exclusively in Tesco so here's what happened when we made the switch! As a bit of a quick intro, Rascal + Friends are a New Zealand based brand that is launching worldwide at the moment with the UK being the most recent place to get them! They are very absorbent, super soft and made with no nasties, they also have a really high waistband to contain all of the baby nasties and it makes them really comfy for baby bums. They are also cruelty free and vegan. The packaging is biodegradable but I'm just checking if the nappies themselves are too, I'll update this post when I've heard back! We have size 3 which is 'The Crawler', they have a reinforced waistband as babies 6m+ spend a lot of time on their tummies perfecting their crawl technique! Honestly, this waistband put me off at first as it's black and looks a bit like gaffa tape so I thought it would be uncomfortable for Eva when she was sitting up but it's not bothered her at all and keeps the tabs nice and secure while she wriggles. You never really see black on baby things so I think that's why it put me off too! The design on the nappy is so cute and gender neutral, size 3 is a lovely pale green with little crosses. The bigger sizes are pale grey. They are dermatologically tested and have no fragrance which is ideal for Eva as she has sensitive skin. The nappies have a really high back waistband and 3D leakguard which means they are nearly poo explosion proof, hallelujah! I think because they are New Zealand based, they've put a lot of effort into being breathable so they'll be perfect in summer. We used the nappies exclusively for a couple of weeks and were gifted a 44 pack to test out before the UK launch. Previously we tried a lot of different brands and thanks to Eva's hobby of pooing in the car, we were having a poo explosion or leak pretty much every day. After switching to Rascal + Friends, we've only had one! That is reason enough for me to switch to be honest. This is obviously only our experience and they might not work for you but I was over the moon to not get pooed on for two weeks! Eva has been really comfortable in them, her skin is easily irritated and we haven't had any problems in these nappies so far. Because she's sitting up, rolling around and starting to try to crawl, the stretchy, comfy waistband is really important. They feel like they are designed for very active babies! Previously we were using Pampers Baby Dry overnight which are fab but they always smelled really weird in the morning but kept her dry, Rascal + Friends kept her dry for as long and smelled so fresh in the morning despite being full of wee! This post is so TMI, sorry teenage Eva! Because of the 3D padding inside, it is quite a bulky nappy compared to some of the other lighter weight ones but it means it's more absorbent for longer. I also quite like a big nappy baby bum but worth mentioning in case you're not keen on a slightly bigger nappy. Rascal + Friends nappies are now available in the UK exclusively in Tesco stores, prices are similar to Pampers and they are £8 for a pack of 44. You can find them here and in store. For more info about Rascal + Friends, visit their website here and feel free to ask me any questions too! 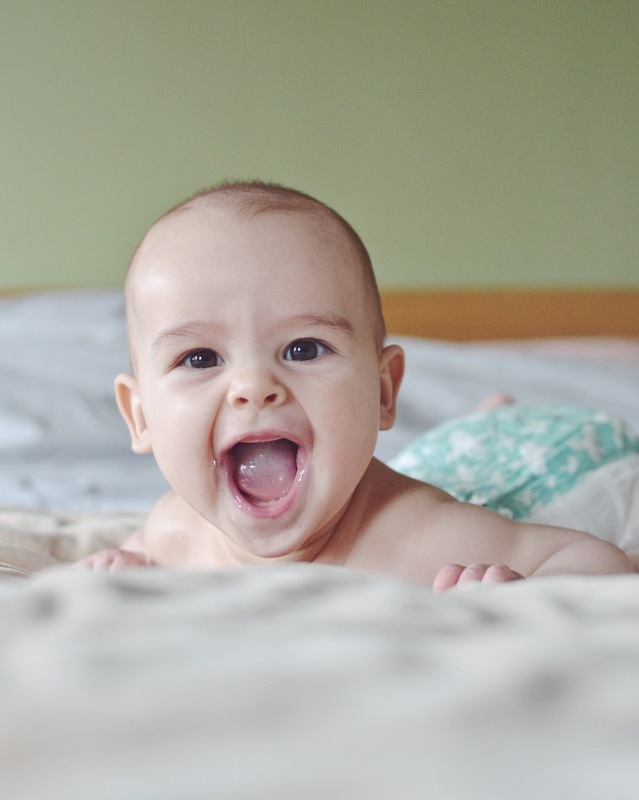 I genuinely feel like a bit of a nappy expert after all of the brands we've tried! 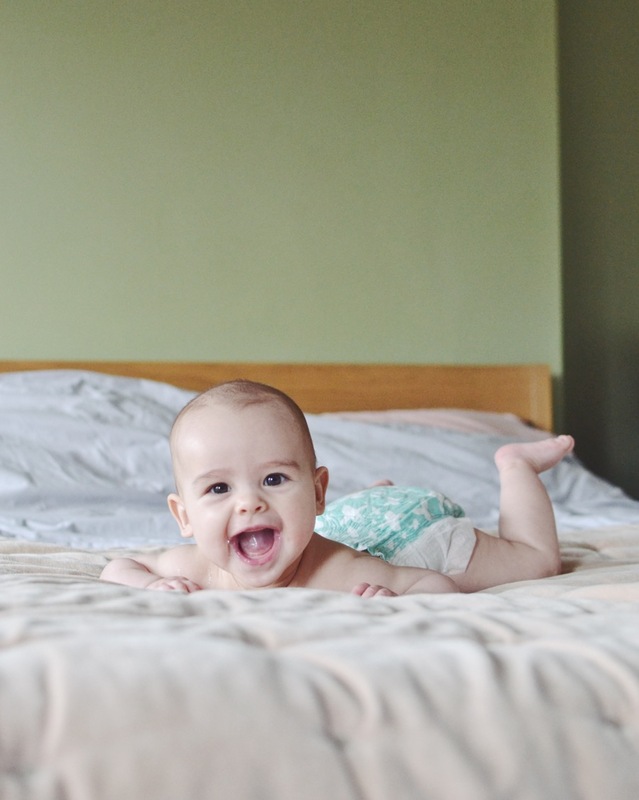 *We were sent a 44 pack of Rascal + Friends nappies to test out before the UK launch but all opinions and joy at not being pooed on for 2 weeks is very much my own.